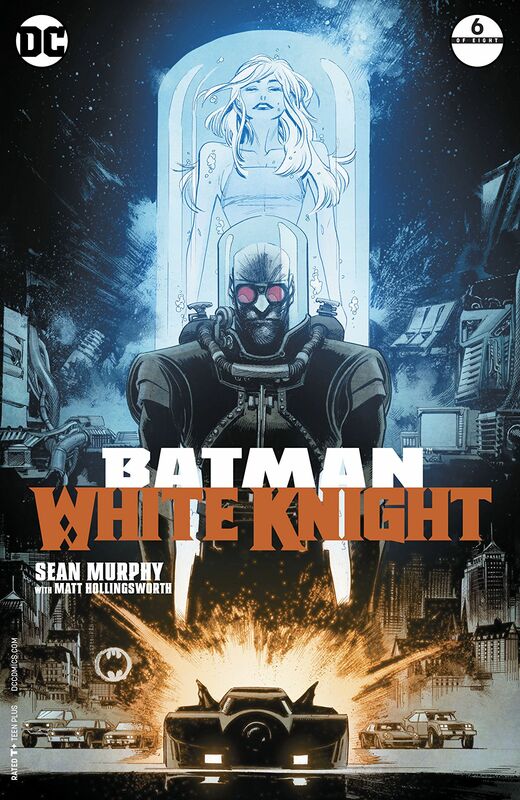 Set in a world that has uncannily turned the Batman into the villain and the Joker into a hero, Batman White Knight, with its story and art by Sean Murphy, and colors by Matt Hollingsworth, continues to go from strength to strength with every successive issue. 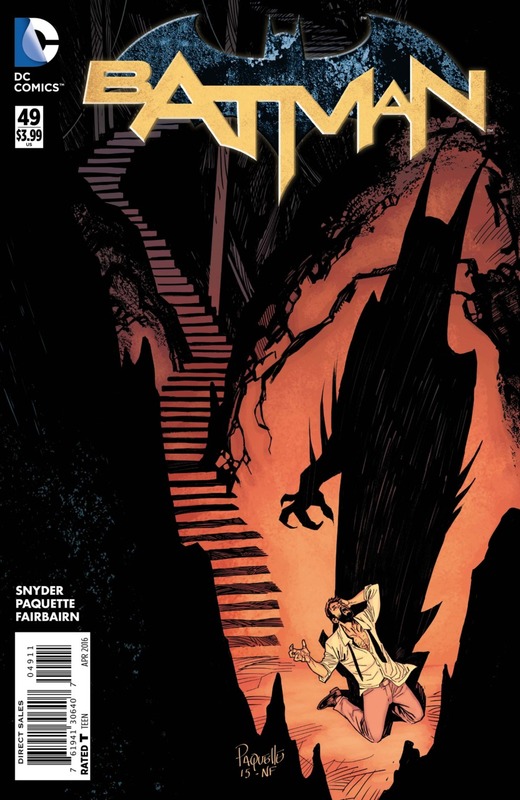 Napier’s ascension in this mini-series has seem him cured and released from Arkham, from where he’s gone on to expose the corruption that has festered in the GCPD for decades, becoming a champion of the middle-classes, and covertly using an army of super-villains – along with the collateral damage this conflict causes – to discredit the Batman‘s standing in the eyes of Gotham‘s citizens. 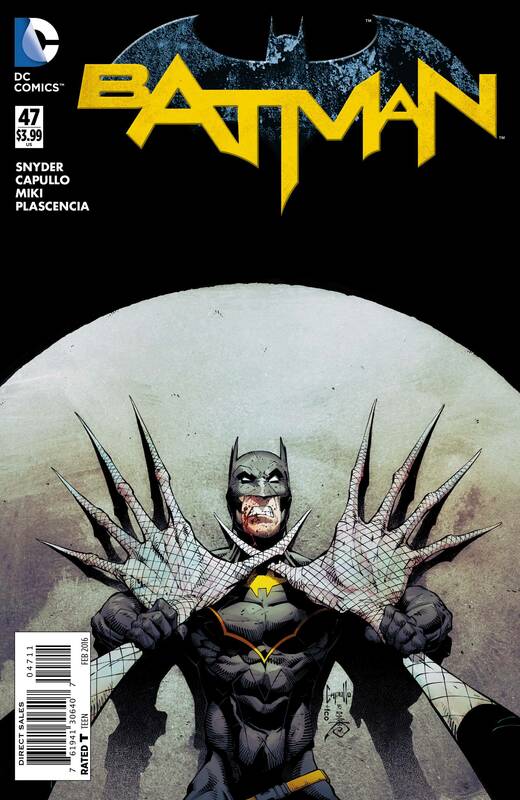 Batman White Knight #6 sees this mini-series reach a major turning point, as Murphy’s dark tale brings Batman’s world crashing down. Seeing Gordon resolve to bring Batman in is a powerful, defining moment here, as is Nightwing assisting him by delivering the means for him to do so, and the subsequent fracturing this has on the Bat-Family when Batgirl, aghast at Nightwing’s actions, refuses to have anything to do with the plan. 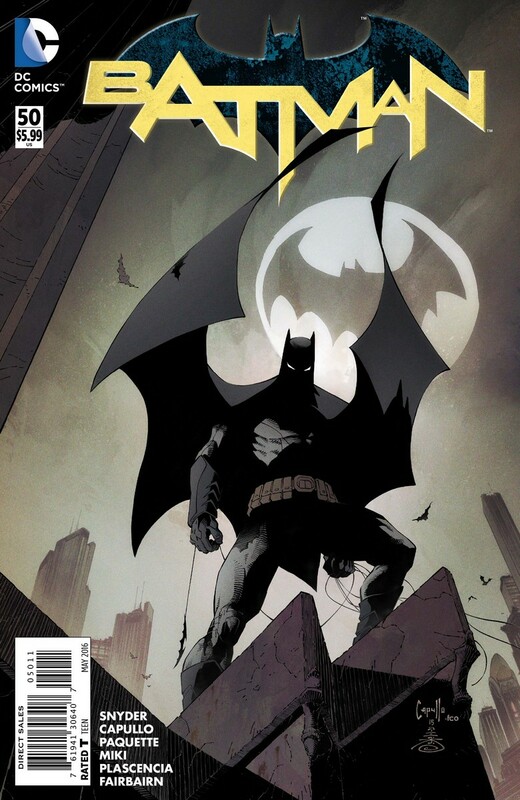 This book and its starkly grim take on the Bat-Mythos, especially the look and tone of Gotham itself – being more industrial and gothic, and less generically NYC like most of the main Bat-Books – are key elements that really make Batman White Knight stand out from the crowd. Sean Murphy’s edgy, moody artistic style further enhances the grim sense of foreboding in this issue, while Matt Hollingsworth’s richly atmospheric colors bring added gavatis to every scene. The sheer fan boy glee at seeing the Batmobile from the1989 Tim Burton Batman movie Vs the Batman White Knight’s Batmobile in a high-speed chase sequence is undoubtedly one of the big highlights of the issue, however, it is the blood-spattered, bone-churching face-off between Batman and Jack Napier that follows which really steals the show – whilst also vividly illustrating the warped schism Murphy has crafted between the Batman and the Joker in this mini-series. 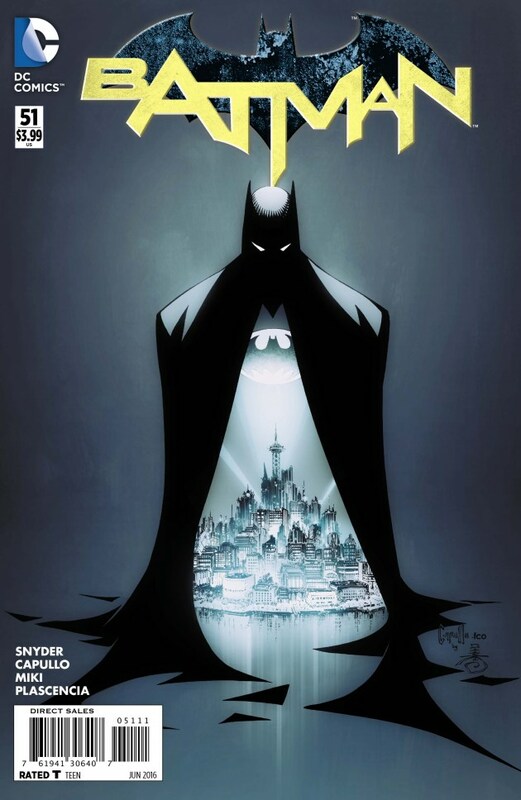 With Batman facing an ignoble fate in Arkham, its not long before the Neo Joker, having taken control of the villains utilizing Mad Hatter’s technology, seems hell bent on holding the city to ransom after she unleashes a giant freeze cannon on Gotham. Other standout moments that shine in this issue are an especially poignant scene between Mr Freeze and Batgirl, and Harley tires in vain to get through to Jack again as he prepares to face Neo Joker. This was another thoroughly enjoyable issue. 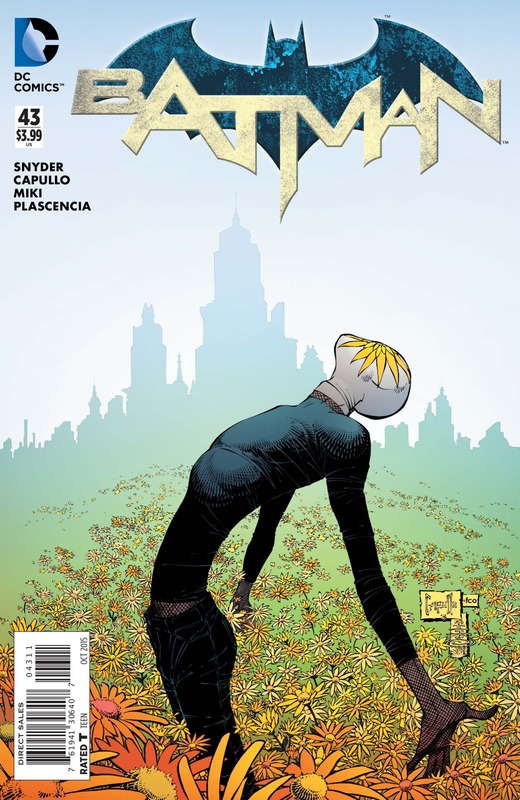 With its intense action, brooding characterization, unexpected plot twists, and striking visuals Sean Murphy and Matt Hollingsworth constantly keep you on your toes in Batman White Knight #6, and as this mini-series enters its final act we are left wondering if the Batman can find possibly find a way back from everything that‘s happened, or will the Joker have the last laugh after all? Life’s just got a whole lot more complicated for Barbara Gordon. Her dad’s the new robo-suited Batman, her roommate, Frankie, knows her secret and wants to help Batgirl fight crime, and now Livewire is on the loose! 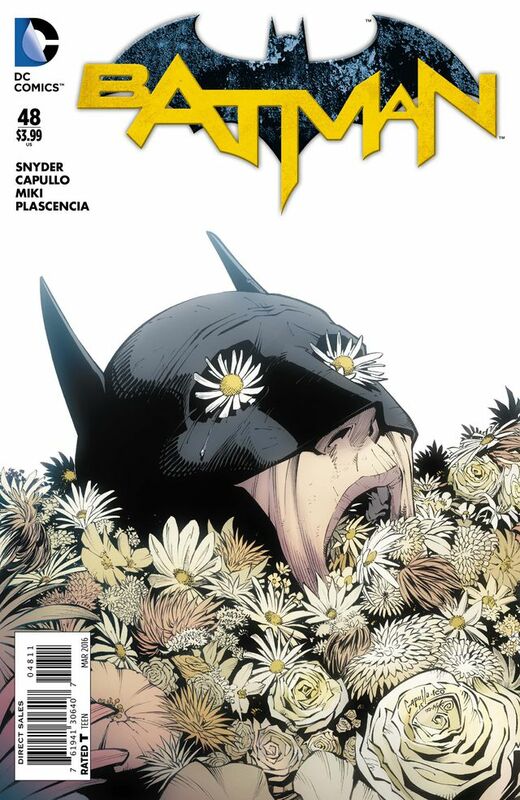 Batgirl #42 continues the upheaval in Batgirl’s life, she’s already had a run in with the new Batman, now Batgirl’s got to contend with Livewire as well, and she’s looking to take down Batman and Batgirl in an electrifying showdown! 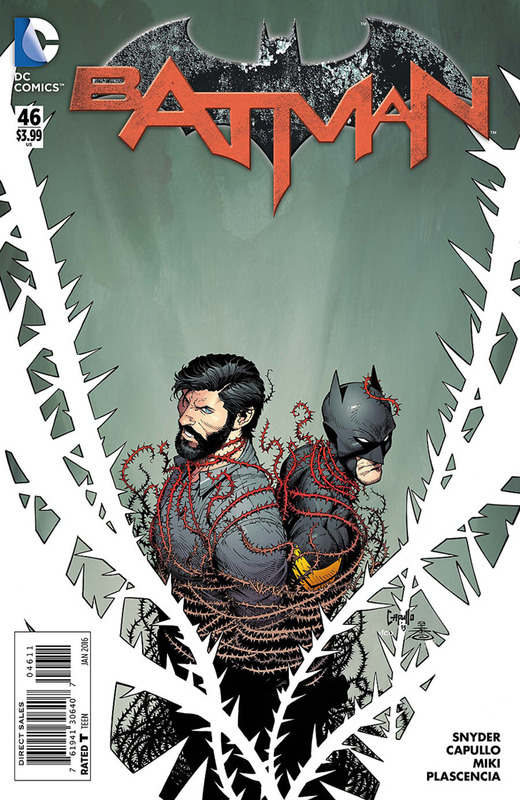 There’s no way Batgirl can evade the new Batman for long in DC Comics Batgirl #42, as writers Cameron Stewart and Brenden Fletcher builds on the initial skirmish between Batgirl and the new Batman with another confrontation. However, Batman takes the opportunity to talk to Batgirl without the suits surveillance systems online. 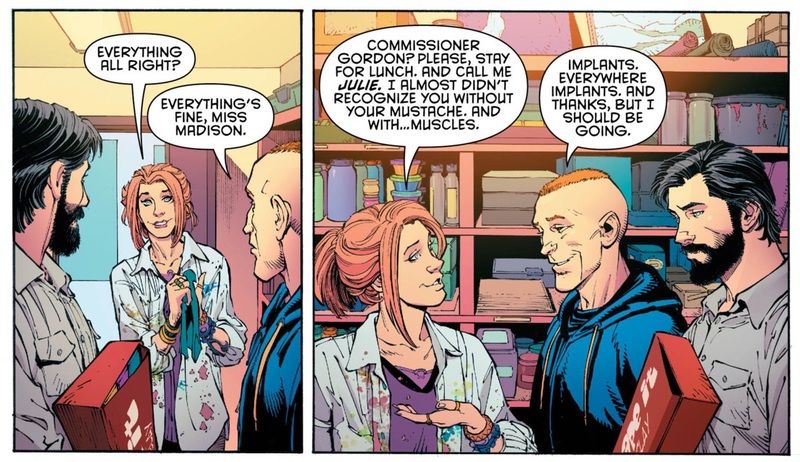 It seems Powers International has a policy that Gordon is clearly uneasy with, and he is willing to give Batgirl a chance. Seeing how Jim Gordon told Barbara that he was the new Batman last issue, it’s fascinating to see Batgirl interact with Batman in these circumstances while still maintaining her secret identity, and the way the discussion resonates emotionally with Barbara’s memories is handled beautifully. With Frankie’s help, and a quick search of the web, Barbara soon gets the low down on Livewire and where to find her. Having her roommate in on her secret has its advantages. But after Frankie was injured last issue Barbara doesn’t want her doing fieldwork, so this time she provides backup for Batgirl via the com-link. Following a quick detour for some high-tech help, Batgirl is soon ready to join the fight as Batman takes on Livewire at the power plant. The exciting story in Batgirl #42 is equally matched by Babs Tarr’s classic cartoony-style art, virtually every moment of Surge Protection leaps off the page at you in a flurry of frenetic scenes and marvellously designed page layouts. I especially liked the hazy thought-bubble-like flashback which opens this issue. 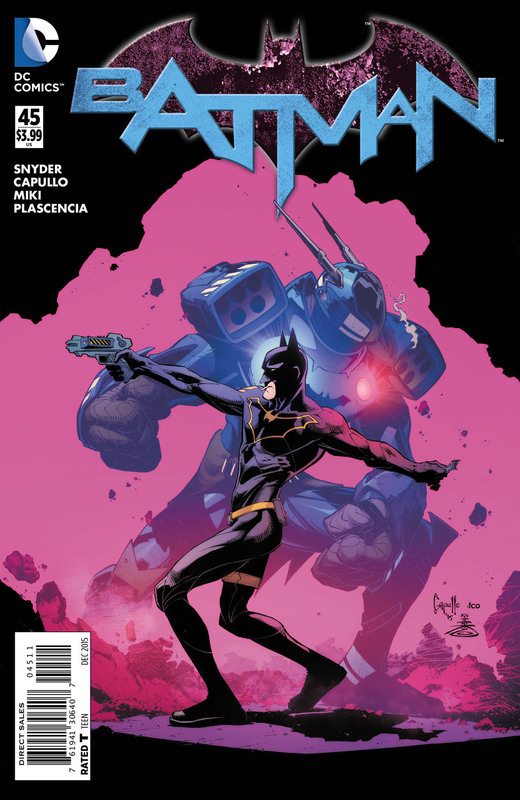 Its great to see Batgirl working alongside the new Batman as well, especially as Jim gets to step outside the Bat-Bot this issue in his black and yellow trimmed Bat-EVA suit (which I actually prefer more than the robo-suit if I’m honest), while the scenes with Frankie and Barbara at the apartment are both emotional and tinged with humour. 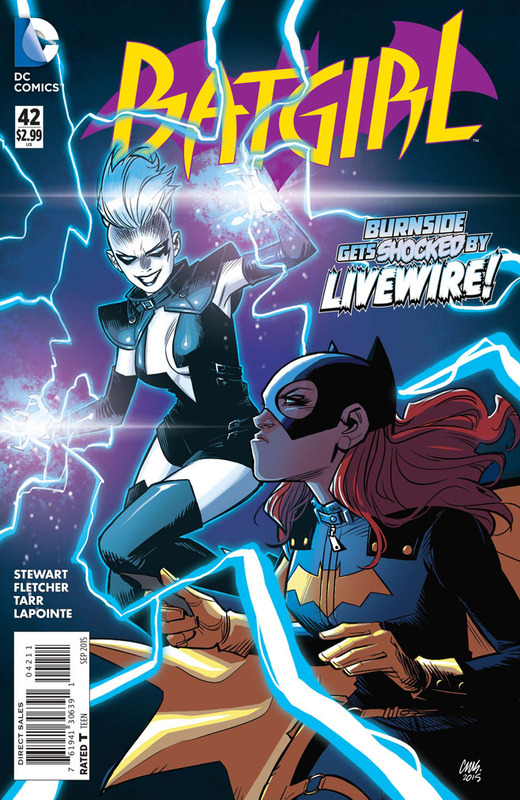 It’s good to see Batgirl talking on this re-vamped Livewire. Batgirl crashes into the early stages of the fight between Batman and Livewire just at the right moment, the tactics that Batgirl employs quickly set the pace of the action, and the subsequent battle certainly packs an electrically charged punch. The colors by Serge Lapointe really stand out in these scenes, especially how the bright vivid tones and crackling energy highlights the kinetic action. The new Batman and Batgirl make a good team, and I like how Batgirl gets to call some of the shots. Jim Gordon’s Batman still has a few signature Dark Knight moves that he needs to perfect, but he doesn’t do too badly – for a “rookie”! Batgirl #42 is an exciting and fun issue from Cameron Stewart and Brenden Fletcher, with great art by Babs Tarr, the team-up between the new Batman and Batgirl is really well staged, and there’s even time to include a nice surprise for Barbara Gordon in the issues closing moments. 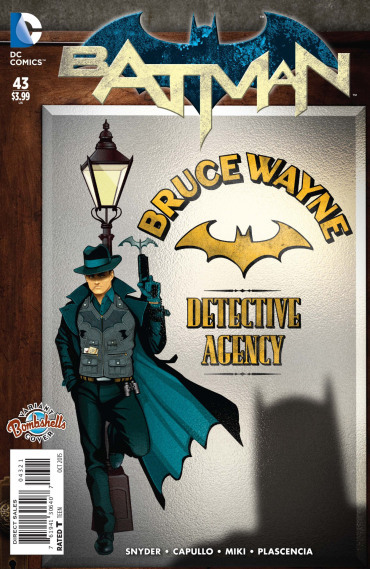 Batgirl #42 is a great issue, the Batgirl Annual #3 is also out now as well, and I’d certainly recommend them both!